I’m not sure if this little reindeer is Rudolph, Robert or their cousin Richard, but whatever you decide to name him, he’s the cutest little reindeer you’ll discover this Christmas – we think so anyway! 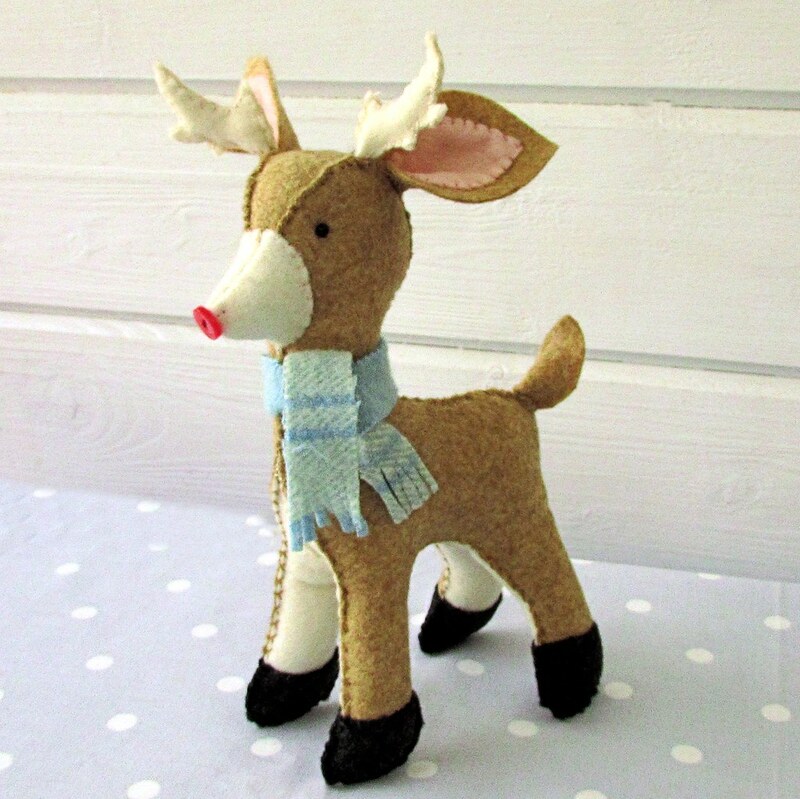 Our little reindeer is handsewn from felt with shiny bead eyes and a little red button nose. The only slightly fiddly part is sewing in his antlers and ears, but it’s quite easy if you take your time. He’s finished off with a nice warm scarf simply cut from a piece of old plaid blanket.